David feels moved and inspired by the special moments. He tries not to think too much on the day to enable him to feel the mood, the angles and the perfect shot. He describes his style of photography as “discreet, natural and unobtrusive. I like to capture those intimate moments of laughter, happiness and emotion whilst maintaining a friendly demeanor. I will photograph guests professionally yet keep the mood full of fun and excitement. 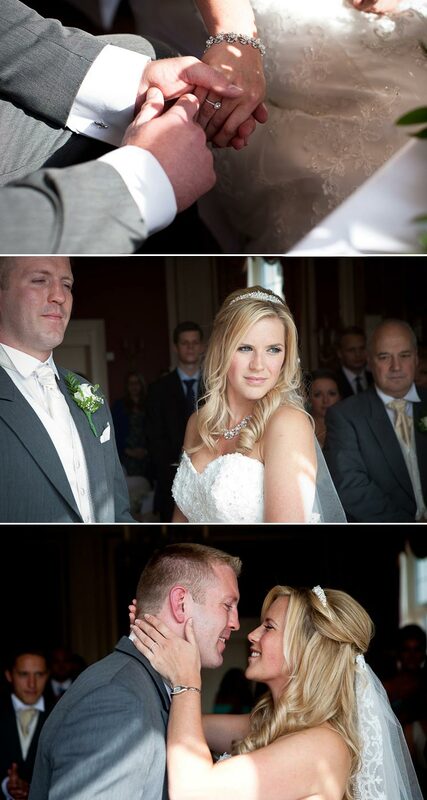 I photograph in a modern reportage style, whilst capturing the traditional elements of a wedding”. 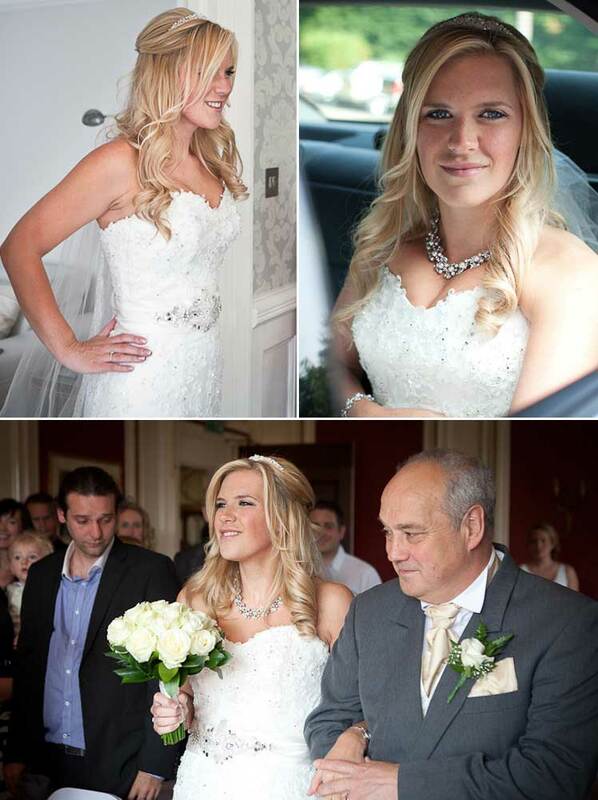 David was clearly inspired by Rachael’s wedding dress and her Glitzy Secrets accessories. He enthuses that “it was a bright white, classic meets modern and extremely elegant. I knew when I saw the dress, Rachael was going to look stunning on her special day. The jewellery complimented the dress further and the intricate detail and pearls of the Starlet in Pearls Necklace and Precious in Pearls Bracelet really stood out against the simple elegant finishing of the dress”. 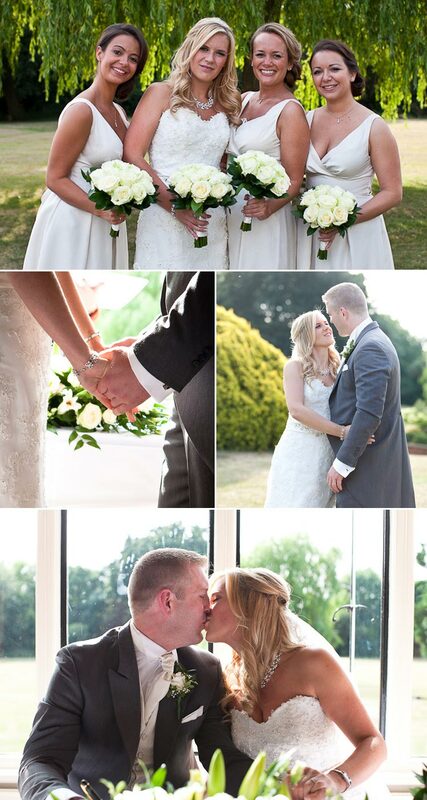 He loved the fact that the bright white of Rachael’s dress and light bridesmaids’ dresses contrasted against the dark decor of the venue giving his photos a strong contrast of light and dark. David told us he also enjoyed photographing the couple alone. “It’s a nice break from all the excitement of the day. The tiara, pearls and her dress all really came to life as the sun caught them. This made the shots really strong. I combined a few posed shots with mainly natural”.